A Domain-specific Modeling Language (DSML) is a modeling language tailored for a very specific and limited domain. A DSML is a combination of visual presentation of entities from the domain as well as a set of rules that defines their behavior. A well-defined DSML should help you to express whatever needed in the specific domain in a correct manner without disturbance from concepts irrelevant for the domain. A UML-based DSML is a combination of extension and limitation of the Unified Modeling Language (UML) for a specific modeling domain. A UML-based DSML does often, but not always, include UML-profile(s) with stereotypes and additional properties, as well as new graphics (icons and symbols). A UML-based DSML should also contains a set of constraints on how UML and the extensions should be applied in terms of model structure, element and relationship usage, valid property values, diagram placement and diagram content etc. MetaModelAgent makes it very easy to setup your own DSML-specific modeling tool using a UML-based metamodels as a single source of information. There is no need at all for any API-based programmatic extensions. 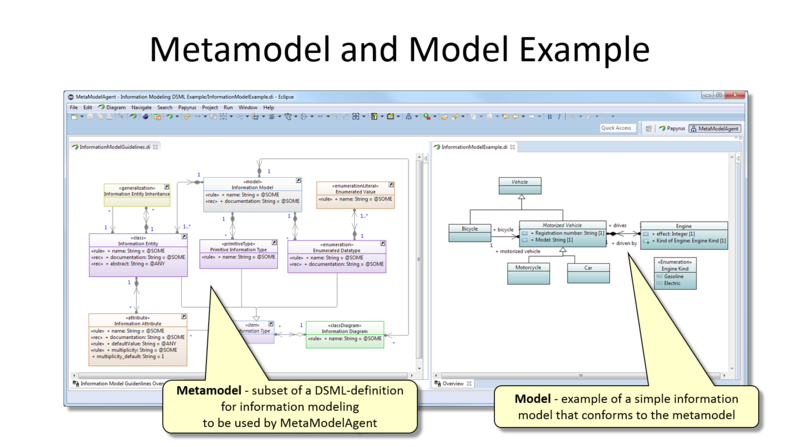 MetaModelAgent uses your own metamodel to provide a DSML-specific modeling tool with user-friendly context-sensitive wizards, views, menus and palettes. 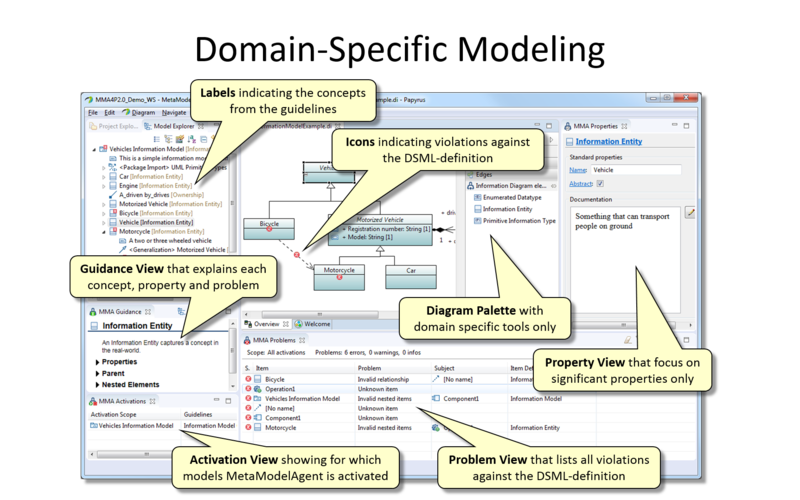 This makes it possible to develop and validate high-quality DSML-models rapidly without the risk of introducing violations to the DSML. 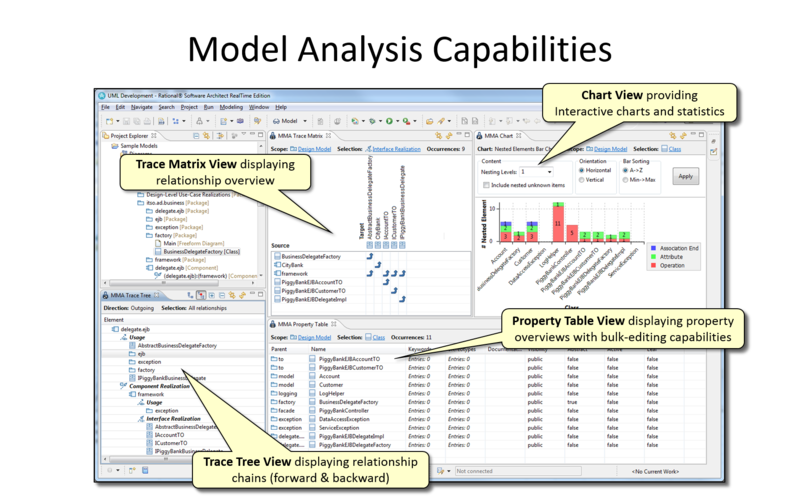 MetaModelAgent brings several additional views to RSA and Papyrus to support advanzed model analysis; table view of element properties, matrix view of relationships, tree view of relationship chains and several chart views for management overviews. MetaModelAgent generates easy-navigable model reports of your DSML-models and DSML-guidelines in HTML-format. This makes your models accessible by anyone through a standard web browser. MetaModelAgent supports any kind of UML-based DSML of any size, independent of any development process. 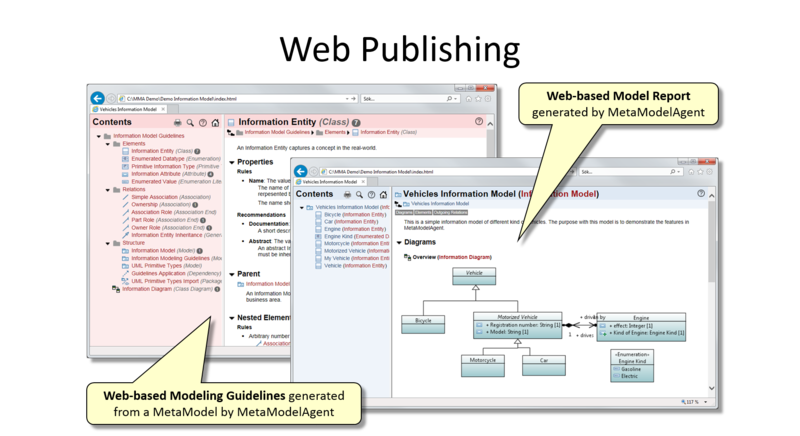 MetaModelAgent supports any number of different DSML-guidelines and models simultaneously in the same environment. MetaModelAgent has embedded guidelines for standard UML that make its possible to use MetaModelAgent´s unique UI extensions without the need of any DSML-definition. MetaModelAgent is available for installation from the update site: http://www.metamodelagent.com/update. To use the MetaModelAgent functionality after installation you will have to order a limited FREE license, request a 30-day trial license or purchase an unlimited license. For more information see Adocus company website and MetaModelAgent product website. By adding the following code below to your website you will be able to add an install button for MetaModelAgent for Papyrus and IBM RSA.